This morning I wrapped myself up against the cold and stepped out into the crisp Autumn air to meet friend J for a few hours of glam gambolling at the V&A. The day was bright and it all started with a coffee in the sun before we wandered around the block to the museum in time for the first fabulous instalment of our day, Ballgowns. The exhibition runs over two floors and displays ballgowns from the 1950s right through to the modern day. 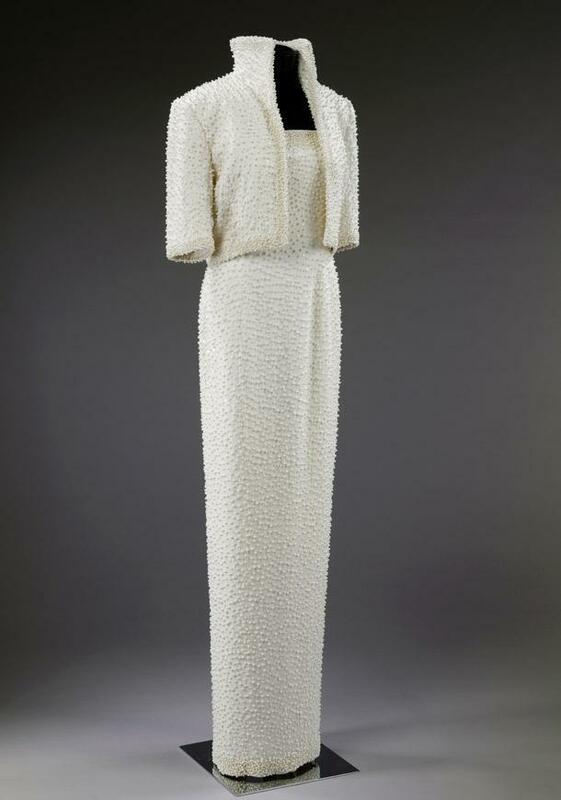 There were royal rags made by Norman Hartnell and Catherine Walker (remember Princess Diana’s ‘Elvis dress’?) right through to celebrity stunners worn by the likes of Helen Mirren, Sandra Bullock and Liz Hurley. There were even gowns made from everyday items like aluminium foil and plastic. So after ooh-ing and aah-ing and eew-ing (yes there were some of those too – I am not a fan of Zandra Rhodes or Vivienne Westwood) for about 45 minutes, it was time for a quick break before venturing into the V&A’s newest exhibit, Hollywood Costumes. The three halls – Deconstruction, Dialogue and Finale – contained over 100 original costumes from the last century of Hollywood films. There was the iconic, the heroic and the historic – Star Wars and Superman, The Birds and Breakfast at Tiffany’s, Elizabeth and The Iron Lady. We saw Indy, Arnie, Rocky and Neo as well as the yellow track suit from Kill Bill, the white halterneck from The Seven Year Itch, the green velvet ‘curtain’ dress from Gone With The Wind and the ruby slippers from The Wizard of Oz. 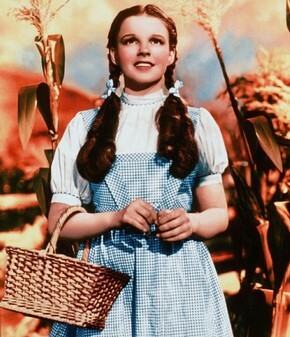 Dorothy Gale’s gingham dress and ruby slippers, worn by Judy Garland in 1939, are one of the last exhibits. You know you are not done until you see these. Speaking of wizardry, the behind-the-scenes notes along the way gave a really intriguing insight into the development of character through costume as the art of costume design morphed from stand out to understated and back again before our very eyes. And after almost two hours of wandering down celluloid lane, I can tell you that David Prowse (Darth Vader) is really tall, Robert de Niro is an absolute chameleon and you should definitely book yourself a ticket to this before it closes in January 2013. After almost three hours of glam, it was time for a little refreshment so it was off to The Pelham (near South Kensington Station) for a spot of my sort of tea, the champers kind. 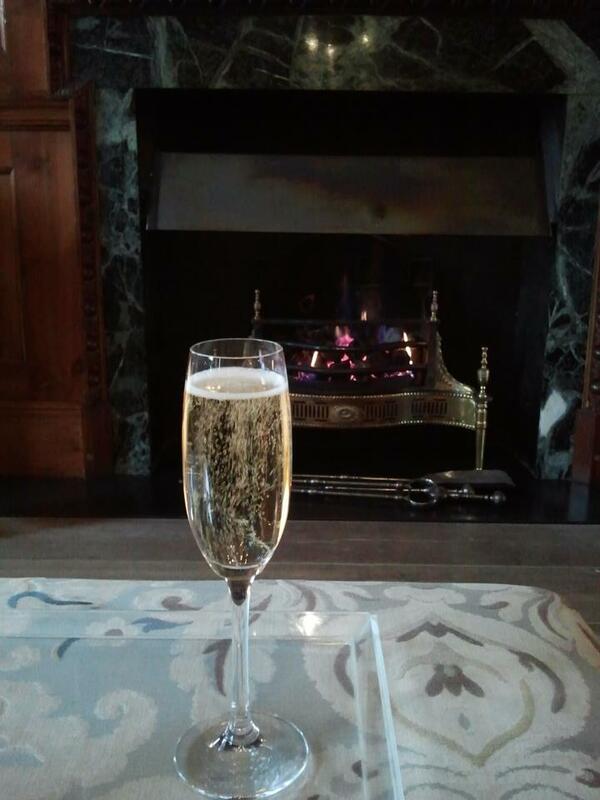 There was a cosy fire, a glass of champagne and plenty of sandwiches, scones and cakes to enjoy as we chatted about what a great time we’d had at the exhibitions and stretched our aching feet towards the warmth of the hearth. 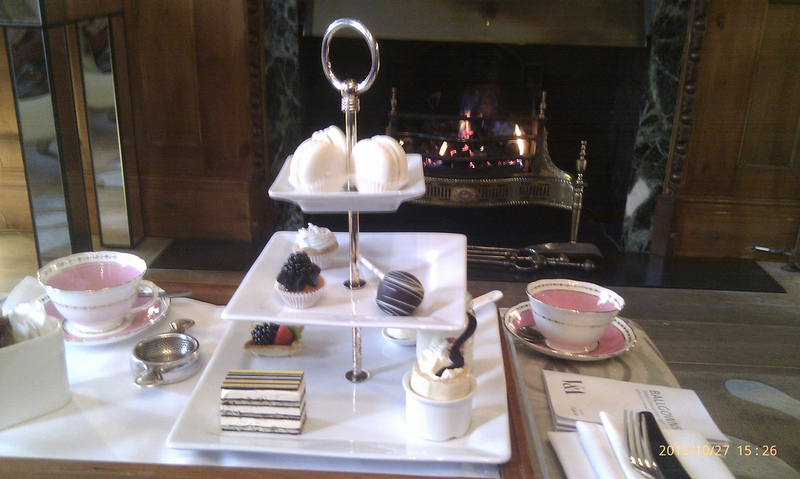 Post champers cakes at The Pelham. The raspberry macaroons were uh-maaayzing! And so that was our spectacular showbiz Saturday, a perfect way to chase away those looming winter blues and celebrate that sacred triad of all things glam – frocks, flicks and champers. 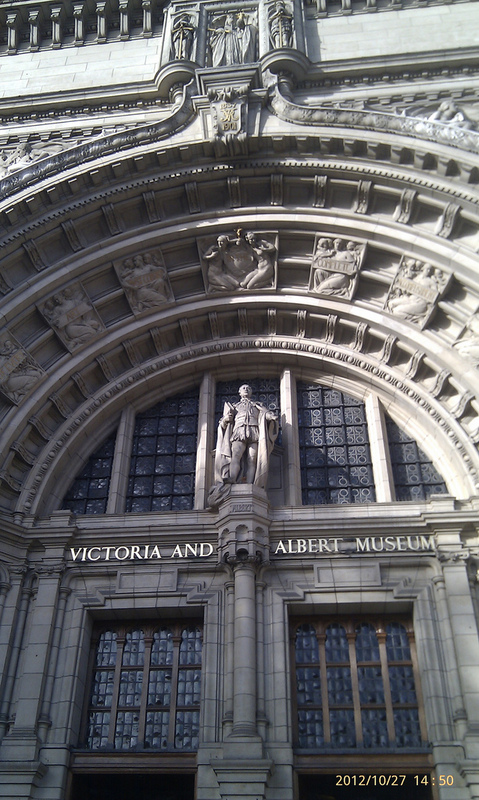 This entry was posted in Expat moments, Life in the UK, stuff to do and tagged Ballgowns, Hollywood Costumes, Life in the UK, The Pelham, Victoria and Albert Museum by Kym Hamer. Bookmark the permalink. Linda I've seen Miranda Hart interviewed a number of times and think she's brilliant but haven't managed to catch with the show. If you get BBC (iPlayer), check her out on Graham Norton Friday before last with Arnie and Ronnie Corbett. Yes you ARE so, what I call, up with the latest! (Sorry, we are ardent fans of Miranda despite no new episodes for quite some time, and adore her mother.) SUCH fun!